Sadly, in music, talent doesn’t guarantee commercial success. If it did, Big Star would’ve been one of the biggest bands in musical history. Alas, that wasn’t the case. Lady luck failed to smile on Big Star when they released a trio of albums between 1972 and 1978. Despite this, Big Star are nowadays regarded as one of the most important and influential bands in musical history. That is why Big Star have gone to influence several generations of bands. Their story began in 1971, in Memphis, Tennessee. Memphis was twenty-one year old Alex Chilton’s hometown. It’s where his career began five years earlier in 1966, when he recorded his debut solo album. Just a year later, seventeen year old Alex Chilton became the lead singer with The Box Tops. Alex Chilton was The Box Top’s lead singer between 1967 and 1970. During that period, The Box Tops enjoyed a number one single with The Letter. However, by 1970, Alex’s time with The Box Tops was over. Soon, though the twenty year old was offered the chance to join one of the biggest bands of that time. This was none other than Blood, Sweat and Tears. They approached Alex, asking if he would consider joining as their lead singer. That wasn’t going to happen. Incredibly Alex rejected the idea out of hand, saying Blood, Sweat and Tears were “too commercial.” Not long after this, Alex Chilton met Chris Bell. Alex Chilton and Chris Bell had known each other for a while. Both men spent time at Ardent Recording Studios, Memphis. That was where Alex Chilton first asked Chris Bell to collaborate with him. Originally, Alex Chilton’s idea was that he and Chris Bell would become a duo like Simon and Garfunkel. Chris Bell however, rejected the idea out of hand, and instead, asked Alex Chilton to join his band IceWater. IceWater’s lineup featured guitarist Chris Bell, drummer Jody Stephens and bassist Andy Hummel. Alex having heard the group’s music, liked it. However, he felt he that ge could improve IceWater’s music. When Alex arrived at the next Icewater session, he brought along a new song that he had written, Watch The Sunrise. The other members of IceWater liked what they heard, and soon, IceWater had a new addition, Alex Chilton. Compared to the rest of the members of Icewater, Alex seemed a musical veteran. He already had a wealth of previous musical experience, and before long, Alex was making his presence felt. This included suggesting that Icewater changed their name to Big Star. This came about during a recording session, when Alex headed out to the local Big Star Markets for some food. He ended up in the Big Star Markets were a chain of stores across Memphis. Their logo was a five-pointed star. Within the five-pointed star was Big Star Markets. Seeing this logo was a eureka moment for Alex Chilton. Once in the store, he realised that Big Star was a name that matched his ambitions for his new band. The five-pointed star would make the perfect logo for the band. That was, as long as he didn’t infringe the copyright. 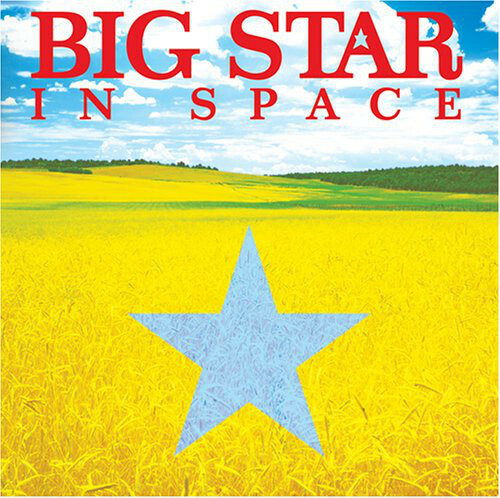 They wouldn’t, as long as they didn’t put Big Star within the five pointed star. With these ideas flying around his head, Alex returned to the studio to convince the rest of IceWater to change their name to Big Star. Not long after this, IceWater changed their name to Big Star. 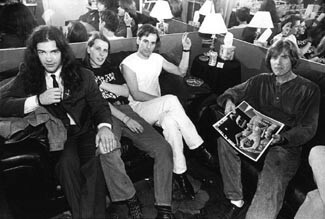 By then, the band had already written several new songs, including Thirteen and Watch The Sunrise, would appear on their debut album, Number One Record. By April 1972, Big Star were ready to release their debut album, Number One Record. 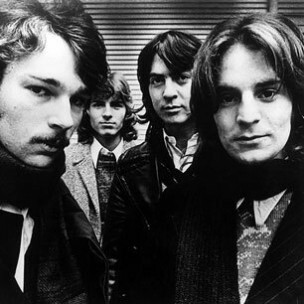 Big Star had signed a recording contract with Ardent Records, and the company founder John Fry was keen record the band’s debut album Number One Record. Initially, all four band members of Big Star were going to contribute songs for Number One Record. It didn’t pan out that way, and instead, Alex and Chris wrote eleven of the twelve tracks. The exception was The India Song, penned by Andy Hummel. These twelve tracks would become Number One Record. Recording of Number One Record took place at Ardent Studios Memphis. The rhythm section of drummer Jody Stephens and bassist Andy Hummel were joined by the twin guitars of Alex and Chris. Augmented by Terry Manning’s piano, Number One Record, which was produced by Jon Fry began to take shape. During the Number One Record sessions at Ardent Studios, Big Star became one of the first groups to use a sixteen track tape recorder. This allowed Big Star to experiment and learn how best to best use the new technology to their advantage. The result was a polished album of power pop, featuring elegiac harmonies. By the time Number One Record was due for release in June 1972, critics already loved Big Star’s music. The release of Number One Record further cemented critics love affair with Big Star. 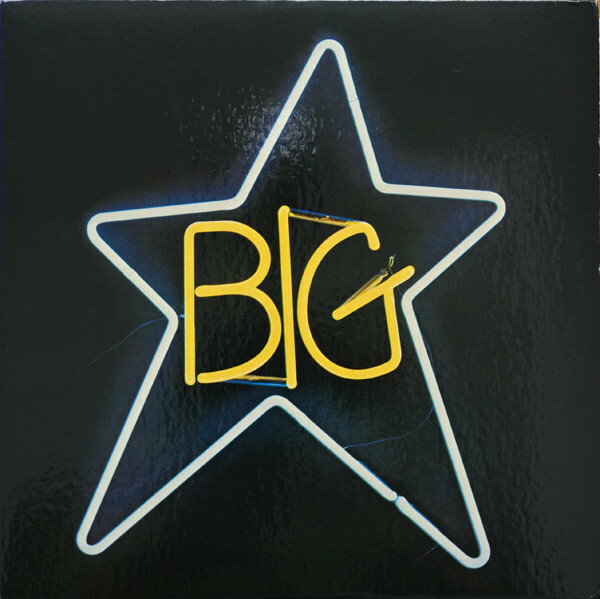 Released to critical acclaim, many, critics including Billboard and Cash Box thought that Big Star were on their way to becoming music’s next big thing. Record World Magazine went as far to say that Number One Record “was one of the albums of 1972.” Surely, Big Star were on the verge of greatness when they released Number One Record? Sadly, when Number One Record was released in June 1972, there were problems with distribution. Stax Records couldn’t get copies of Number One Record into record shops. For Big Star, this was hugely frustrating. Especially, after such critically acclaimed reviews. This resulted in plenty of demand for Number One Record. Big Star watched on feeling helpless, as Number One Record sold less than ten thousand copies. For Big Star, this was a disaster. Things would get even worse. Eventually, Stax signed a deal with Columbia Records to distribute their whole catalogue. However, Columbia didn’t seem interested is using the independent distributors previously used by Stax. This resulted in Number One Record being removed from the stores who previously sold Stax releases. After this tensions arose within Big Star. Following the problems regarding the distribution of Number One Record, tensions arose within the band. Fights erupted between band members, instruments were destroyed and Chris Bell left the group, to record his own solo album. Not long after this, Big Star split-up, for the first time. After a few months, Big Star decided that it was time to reform the band. However, all wasn’t well within Big Star. Onlookers watched on as a myriad of problems threatened to destroy Big Star. There was drug abuse, instruments destroyed, band members became ill and even a master tape went missing. Again the band spilt up. Eventually, Big Star reconvened and Alex Chilton, Jody Stephens and Andy Hummel decided to record an album as a three-piece band. This would become Radio City. For Radio City, Alex Chilton wrote six tracks and cowrote four others, including three with Andy Hummel, who contributed Way Out West. Alex and Andy wrote Daisy Glaze with Jody Stephens. One name was missing though, Chris Bell. It later emerged that Chris Bell did help write some songs on Radio City, but wasn’t credited. This includes O My Soul, and the Big Star classic Back of a Car. Chris’ omission would prove an expensive one. However, during the period Radio City was written and recorded, Chris was no longer a member of Big Star. Recording of Radio City took place at Ardent Studios, Memphis in the autumn of 1973. John Fry and Big Star co-producer Radio City, which was Big Star’s first album as a trio. This being Big Star, things didn’t go to plan. Alex, Jody and Andy only recorded part of Radio City. With nine tracks completed, Alex was left without a rhythm section. So, to complete Radio City, Alex brought in the rhythm section of drummer Richard Rosebrough and occasionally, bassist Danny Jones. Together, they finished recording Mod Lang, She’s A Mover and What’s Going Ahn. Eventually, Radio City was released in February 1974. Just like Number One Record, Radio City was released to widespread critical acclaim. 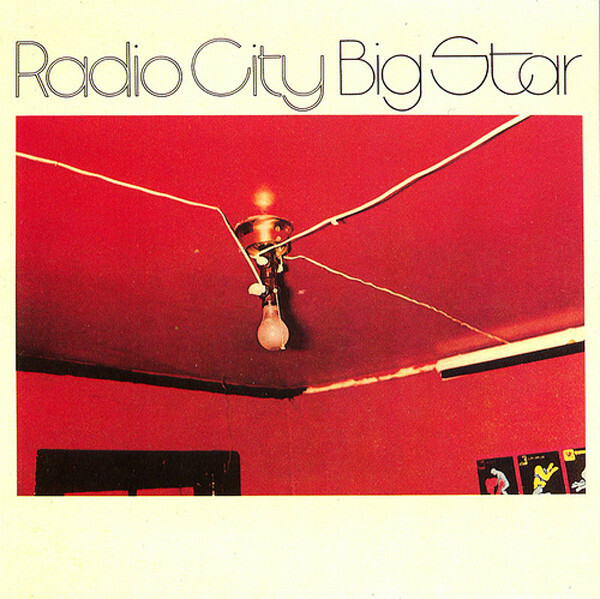 Radio City was seen as Big Star’s breakthrough album. It was described as commercial, polished and even brilliant and addictive. Surely, Big Star were about to make a breakthrough with Radio City? Sadly, not. History repeated itself when Stax Records failed to get Radio City into record shops. Stax Records’ disagreement with Columbia Records made a bad situation worse. What many regarded as a future classic, and the definitive power pop album was stuck in a distributor’s warehouse. Eventually, when Stax Records counted sales of Radio City, the sales amounted to just twenty thousand. For Alex Chilton and Co. this was a huge body blow. When Big Star returned to the recording studios in September 1974 to record what would eventually become Third/Sister Lovers, Big Star’s numbers were reduced. Andy Hummel had left the band. It was a case of and then there were two. For Third/Sister Lovers, Alex contributed twelve of the fourteen tracks. Jody Stephens penned For You, and the other track was a cover of The Velvet Underground classic Femme Fatale, penned by Lou Reed. These tracks would become Third/Sister Lovers, which was produced by Jim Dickinson. With just Alex Chilton and Jody Stephens remaining, Big Star entered the recording studio for what would proved to be the last time. Given their numbers were reduced, the two members of Big Star had to bring onboard various session musicians and a few friends. This included drummer Richard Rosebrough, Alex’s girlfriend, vocalist Lesa Aldridge and guitarist Steve Cropper. With Jim Dickinson producing Third/Sister Lovers, Big Star proceeded to produce music that was variously beautiful, ethereal, experimental, haunting and innovative. That’s not surprising. Many of the songs were Alex had written were deeply personal. Many onlookers thought that Third/Sister Lovers wasn’t going to be a Big Star album. At the time, Third/Sister Lovers looked more like an Alex Chilton solo album. Other onlookers remember seeing the session sheets naming the band as Sister Lovers. However, this was a reference to Alex and Jody dating sisters Lesa and Holliday Aldridge. Eventually, however, Third/Sister Lovers was completed on 13th February 1975, when Larry Nix completed the mastering. However, it would be another three years before Third/Sister Lovers was released. 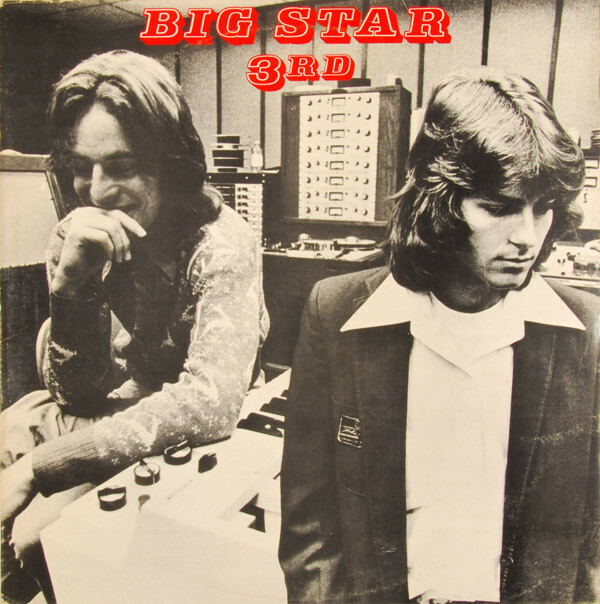 Following the completion of Third/Sister Lovers, producer Jim Dickinson and John Fry headed to New York looking for a record label willing to release Big Star’s third album. By then, Big Star were history. Despite this, 250 copies had been pressed for promotional purpose. Sadly, nobody expressed an interest in releasing Third/Sister Lovers. Record company executives didn’t understand Third/Sister Lovers. The music seemed too stark, emotive and occasionally, disturbing. In a way, that’s not surprising. Alex Chilton wasn’t in a good place during the recording of Third/Sister Lovers. Third/Sister Lovers was a cathartic album, where he unburdened himself. This made Third/Sister Lovers a very personal album. However, within Third/Sister Lovers there was beauty. It wasn’t until 1978, that Third/Sister Lovers’ beauty was heard. Eventually, three years after Third/Sister Lovers was completed, the album was released. Previously, Third/Sister Lovers was perceived as uncommercial by record companies. Neither Alex nor Jody had shown any interest in releasing Third/Sister Lovers. Then there were the continuing financial problems. That’s why three years passed before the release of Third/Sister Lovers. Prior to the release of Third/Sister Lovers, the critics had their say. Critics recognised the Third/Sister Lovers’ potential when the group were promoting it. Many wrote paeans exalting the Third/Sister Lovers’ beauty. However, it was only in later years that many critics realised the importance of Third/Sister Lovers. By then, it was being hailed as a minor classic. So were Number One Record and Radio City. Big Star were by then, one of the most influential bands in musical history. Not in 1978. On the release of Third/Sister Lovers commercial success eluded what became Big Star’s third album. While many saw this a disaster for Big Star, much worse was around the corner. Not long after Third/Sister Lovers was eventually released, tragedy struck, and Chris Bell died in a car crash. It was a tragedy for music and Big Star. They lost one of their creative forces and music lost one of its most talented sons. Sadly, after the tragic death of Chris Bell, that was the last anyone heard of them for fifteen years. Over the next fifteen years, interest in Big Star started to grow. A new generation had discovered their trio of albums, including many young musicians. Suddenly, bands were citing Big Star as a major influence on their music. Somewhat belatedly, Big Star’s music was finding the audience it so richly deserved. Given the recent resurgence in interest in Big Star’s music, it was no surprise that the group reformed in 1993. Two of Big Star’s original members, Alex Chilton and Jody Stephens, were joined by guitarist Jon Auer and bassist Ken Stringfellow. Big Star made a welcome comeback at the University of Missouri Music Festival. To celebrate the return of the comeback Kings, Big Star, the tapes were running and the concert was recorded. It was released later in 1993 as Columbia: Live At Missouri. After their initial comeback, the new line up began to tour extensively. Big Star were back and were more popular than ever. It was tragic that Chris Bell wasn’t alive to see the group that he had cofounded receive the recognition they were receiving. However, for Big Star life went on and they returned with a new album in 2005. In Space consisted mostly of new songs, songs written by Alex Chilton, Jody Stephens, Jon Auer and Ken Stringfellow. When In Space was released, critics awaited an album of power pop perfection. However, critics were expecting too much. While the first album since the death of Chris Bell was well received by critics, who welcomed the return of Big Star it didn’t quite match their expectations. At least Big Star were back and making music. Sadly after over ten years of belated success and recognition, Alex Chilton died of a heart attack on 19 July 2010. That day, music lost one of its most creative and greatest musicians. His genius can be heard on Big Star’s first three albums Number One Record, Radio City and Third/Sister Lovers. Seven years after the death of Alex Chilton, the rresurgence in interest in Big Star continues. Nowadays, Big Star’s trio of albums were considered minor classics, which feature in Rolling Stone magazine’s list of the 500 greatest albums of all time. Meanwhile, Big Star were being hailed as one of the most influential, innovative and inventive bands in musical history. Belatedly Big Star’s trio of albums have been recognised as the classics they were. One listen to Number One Record, Radio City and Third/Sister Lovers and it’s apparent that they’re classic albums from power pop pioneers Big Star at the peak of their powers. ← THE LIFE AND TIME OF BRITISH BLUESMAN MICK CLARKE.